Perfectly affordable, absolutely adorable, and completely updated! There's even a She Shed/Man Cave! Perfect for snowbirds, investment, first time buyers, or YOU! Light and bright with fresh paint & new impact windows. Low maintenance with new laminate & zero carpet. 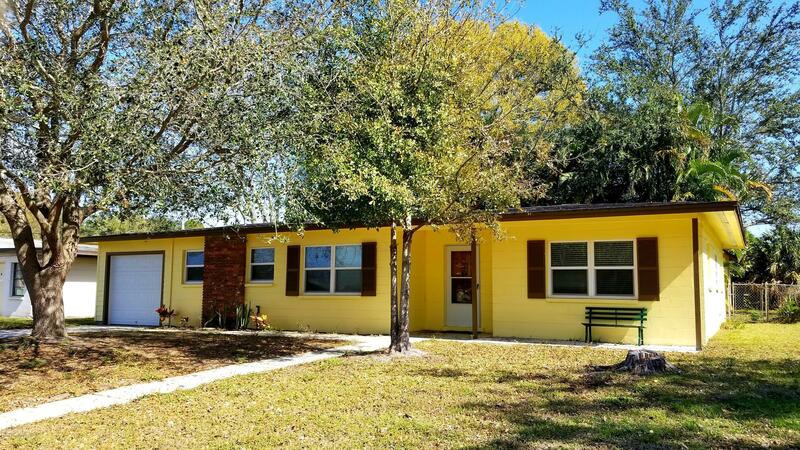 Extremely economical with newer A/C & water heater, and shady oaks to keep you cool in the summer! Fresh exterior paint, new electrical panel, new input plumbing, new garage constructed w/ storm door/opener. All new interior doors, drywall & baseboards. Custom shower constructed, new sinks/vanities. Established neighborhood in highly desirable West Melbourne. Close to shopping/beaches. Easy to view with little notice. Come check out your new home!